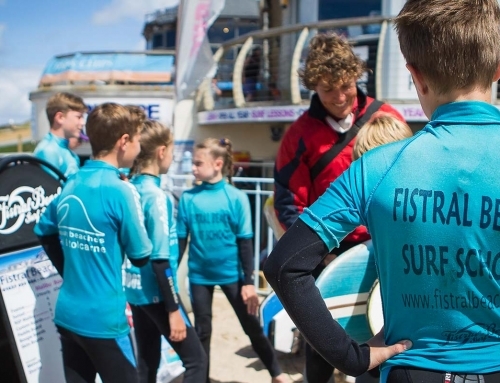 Every surf school differs in what equipment is included in the price but Fistral Beach Surf School prides itself on providing all the necessary equipment. It is their firm belief that learning to surf should be a comfortable as well as a pleasurable experience and shouldn’t break the bank! 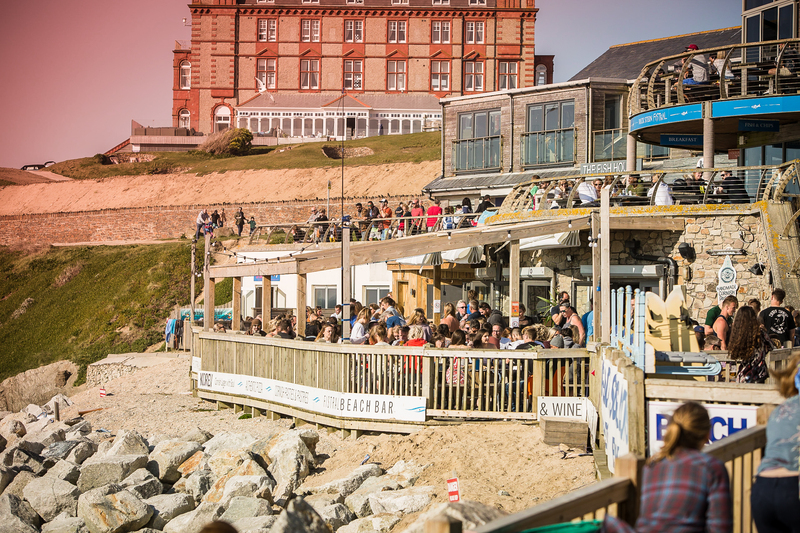 The surf school has you covered in all conditions, from the blustery winter days to the blistering summer scorchers. All of their equipment is top of the range and field tested by their instructors and staff so you are guaranteed to be getting the best gear possible. 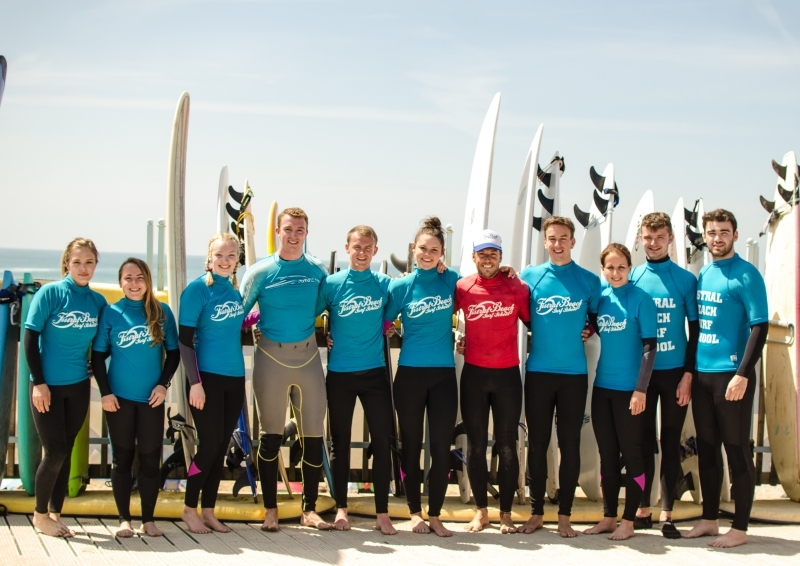 They are a passionate team that lives and breathes surfing and are eager to share that stoke with you! This is why they include the use of ALL equipment in the price. If you are going to learn to surf it should be in complete comfort. 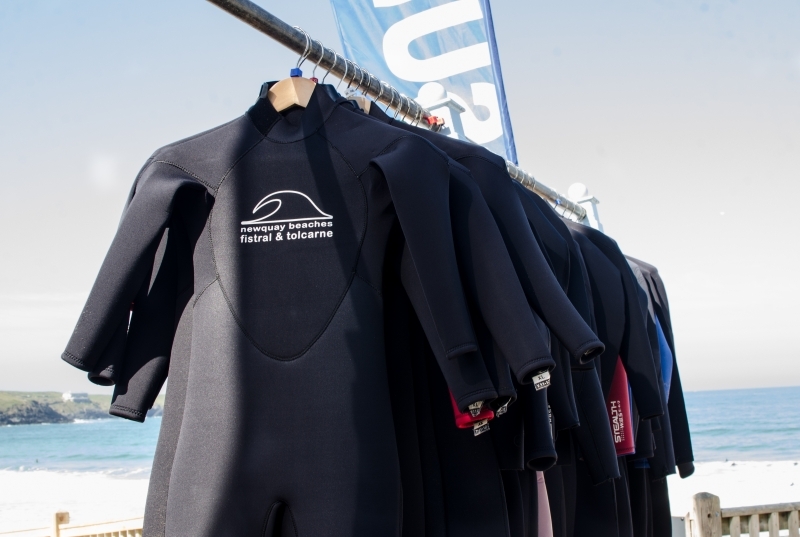 The Surf School wetsuits come in a variety of sizes from XS-XXXL that cover the seasons. In the winter they use their Alder winter 5,4,3 which means it is 5mm on the torso, 4mm on the legs and 3mm on the arms. 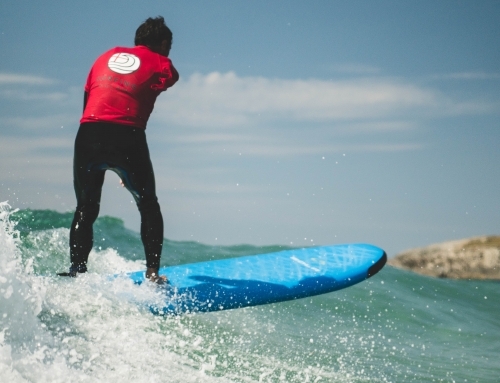 You are guaranteed a warm surfing experience with these professional wetsuits. 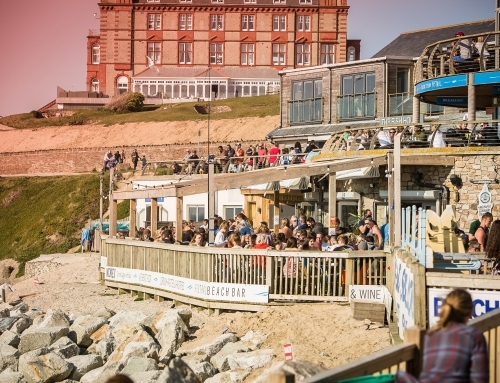 Thankfully we don’t have to wear winter wetsuits all year round! In the summer we move down to our Alder 3,2 summer suits, which means 3mm on the torso and 2mm on the legs and arms. 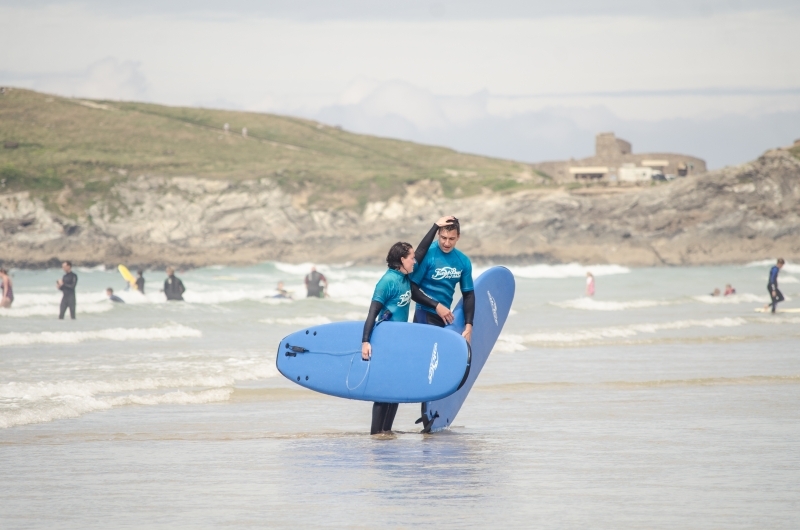 Their wetsuits are carefully picked so that you can be as comfortable as possible whilst enjoying the waves. 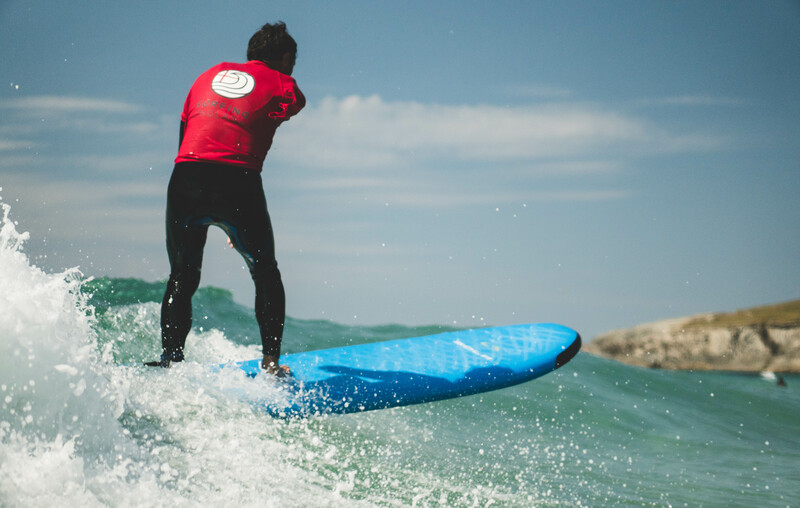 The board that you will be given for your surf lesson will be the classic foamie beginner board, a staple across all surf schools. You ask any veteran surfer what board they started surfing they will certianly regale you of tales of their first foamie. The reason they use them for or lessons (and why so many people learn on them) is that they are easy to paddle on, very forgiving and extremely buoyant. 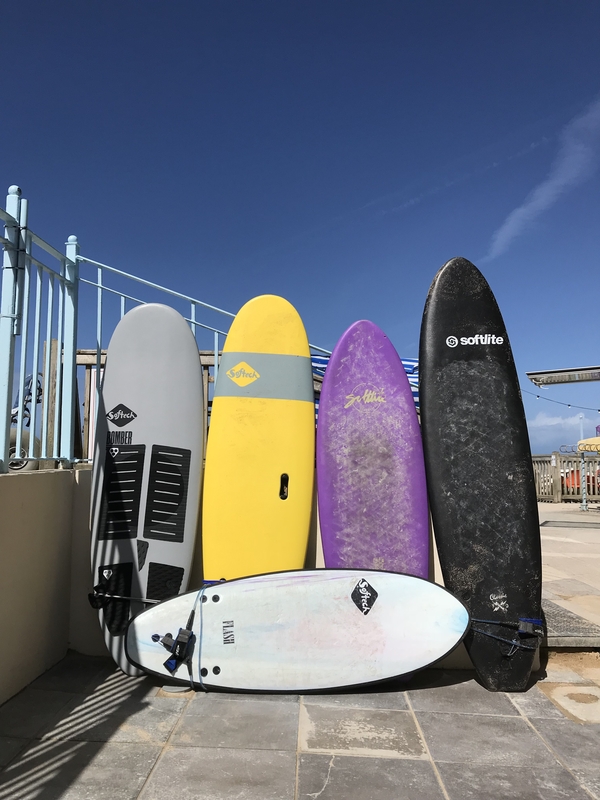 They are designed to help you through the basics of surfing so that you can get to a level where you can start shredding a hard board. 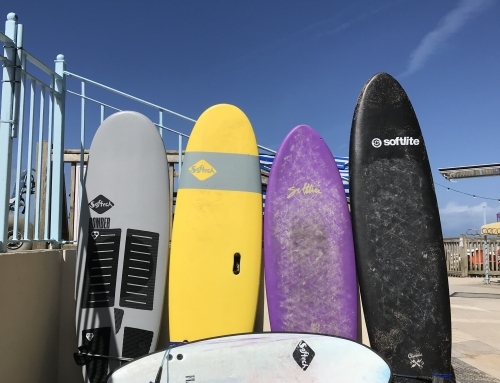 For those of you that have advanced past beginner they also have a selection of hard boards for you to use, all of which are again quality tested and hand picked by their experienced staff. The I.D vest is arguably the most important piece of kit you will be given during your lesson. The colourful I.D vest works as a beacon so that the instructor can see you whilst you’re in the ocean. 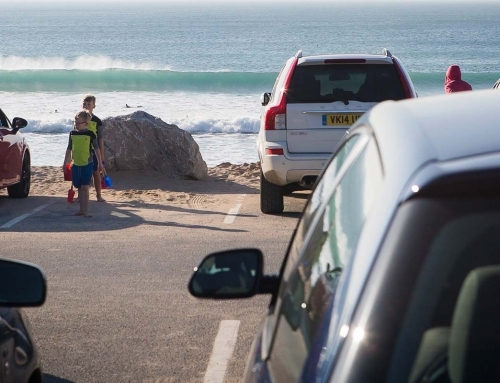 It’s no secret that the UK can get pretty cold in the winter months, in fact some of you may be surprised to know that people surf all year round. This is only possible with as many layers as possible, thankfully they have got the kit you are going to need. 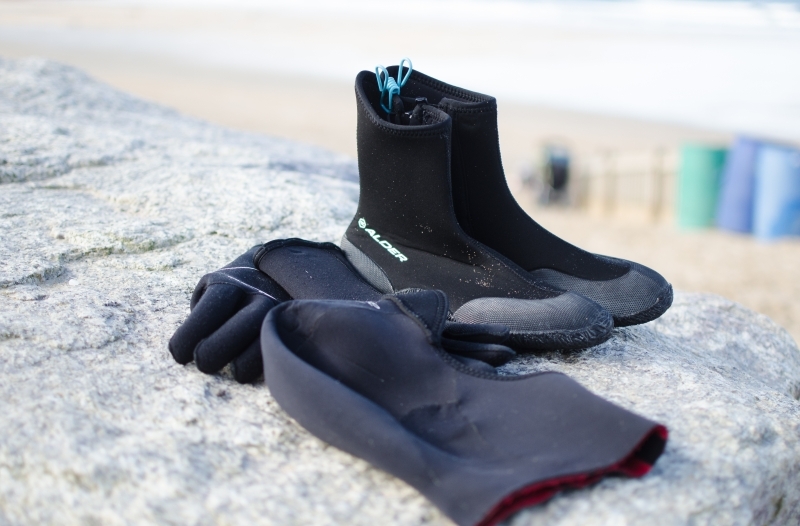 The little extras such as the hood, gloves and boots can be the difference between a long enjoyable surf and a short unpleasant one.